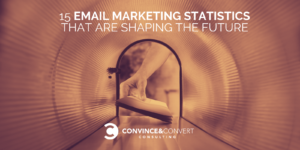 The following email marketing statistics prove how you can use email to reach your marketing goals in 2019 and beyond. AWeber analyzed 1,000 emails from 100 top marketers to determine how experts send emails. The research found that 82% of experts send emails with subject lines of 60 characters or less. That’s not surprising since many email service providers don’t show full subject lines longer than that. The survey also concluded that, on average, subject lines are 43.85 characters long, which means it may be worthwhile to send emails with subject lines significantly shorter than 60 characters. What Does This Mean for Marketers? It’s crucial to ensure subject lines don’t get too lengthy. You should also keep in mind that when people view content on their mobile devices, they may find long subject lines frustrating due to the small screen size and the other material shown to them in that limited space. Adobe took a closer look at how white-collar workers use email and discovered that they spend an average of 2.5 hours checking their personal inboxes at work and even more time dealing with work-related emails. Moreover, the majority of people check personal email accounts before they get to work, and some even do it before they get out of bed. What Does This Mean for Marketers? People have made checking email an activity that fits into every part of their day, and they don’t separate personal email tasks from the stuff they do at work. As such, you don’t necessarily need to wait to send non-work-related emails outside of business hours. Just be aware that people may only skim those emails — not take action with them — before they leave work. 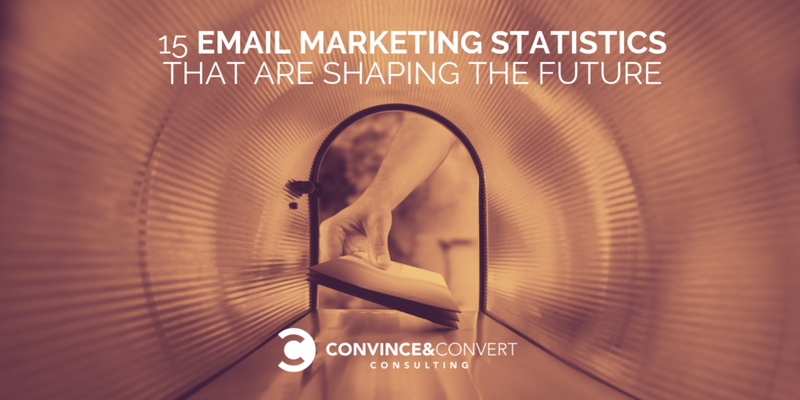 Data from Statista reveals a steady climb in the number of emails received and sent out. It projects that the figure will surpass 347 billion per day by 2022. It’s also worth realizing that the number was 269 billion in 2018. That’s a rapid rate growth for an already high volume of emails. What Does This Mean for Marketers? These numbers suggest a rise in the number of people using email, which, overall, is a positive thing. However, the growing number of emails may also make it harder for you to make you messages stand out. It’s crucial to create email subject lines and body content that are relevant to users. Otherwise, they may never open them. The tendency for people to have more than one email account is increasing even more than the global email usage rate. That’s what the Radicati Group, which specializes in market research in the technology sector, found in a recent report. According to the report, the average number of email accounts to user ratio is currently 1.75 and will grow to 1.86 by 2022. The research also showed that consumers often use their various email accounts for well-defined purposes, such as communicating with friends and family or buying things online. What Does This Mean for Marketers? Since it’s so easy for people to create new email addresses for specific purposes, you must regularly go through your lists and remove old email addresses. Additionally, give consumers incentives for keeping brands in the loop when creating new email addresses. For example, you can emphasize how people could miss out on special offers if they don’t provide their most current email addresses. A 2017 report from Fluent examined the various ways that marketing to millennials differs as compared to targeting other age groups. It looked at the impact of different promotional methods — such as text messages, promotional emails and ads on news and entertainment websites — to determine the effect they had on purchasing decisions. The report showed that of all the methods studied, promotional emails were the most effective. More than two out of every three Millenials said they influenced their decision to buy at least some of the time. Moreover, 13% said those emails always influenced them. What Does This Mean For Marketers? Remember that promotional emails still have weight when appealing to millennials. Fluent found that promotional emails were 10% more effective at inspiring millennials to take action compared to emails sent to older age groups. Highly personalized emails could get even better responses. Many marketers may feel it’s difficult to determine which platforms people most often use to read emails. However, Litmus performed an analysis of emails during the first half of 2018 and found that Gmail and iPhone are the two most popular email clients by far, and that was also true at the end of 2017. What Does This Mean for Marketers? The prominence of the iPhone in these findings drives home the point that a growing number of people like to read their emails on mobile devices. So, continue to assume that a large percentage of your audiences will read things via that method, making sure to avoid large image files and long paragraphs. Concerning Gmail, understand the internal features that people with Gmail accounts could utilize, such as the Snooze function, which temporarily removes emails from users inboxes. You could emphasize urgency for limited-time offers to discourage people from using that function. Email-based loyalty programs are popular ways to get people to support their favorite brands and get rewarded for it. Often, a person who’s signed up for a loyalty program gets even more perks for referring their friends. Those referred customers are extremely valuable for marketers. More specifically, referred loyalty program participants spend an average of 13% more per year than non-referred people, according to National Retail Solutions. What Does This Mean for Marketers? The research cited above also revealed that referral programs cost up to 90% less than traditional forms of marketing. Given the value of this method, you should consider how referrals could help them gain momentum. For example, perhaps an email coupon could get sent out to both the person who referred friends and the ones that responded to that referral request. People leave their online shopping carts without completing the purchases for a variety of reasons. They might think the shipping costs are too high or not want to create accounts to finish the checkout process. However, data from SaleCycle shows that when a shopping cart abandonment email gets sent within an hour of the time a person leaves the site, conversions go up by 6.33%. What Does This Mean for Marketers? Do not assume that there’s no way to urge shoppers to complete purchases, or that any efforts to do so will be too difficult. Sending an email that says something simple like, “Hey, looks like you forgot to do something” could help shoppers decide that they want their items after all. Mailchimp published email open rate benchmarks in March 2018 and broke down the open rates by industry. However, it found that for all sectors, the average open rate is 20.81%. What Does This Mean for Marketers? It highlights the need to be realistic and remember that email marketing best practices guarantee that people will read the emails they receive. Rather than being discouraged by what may seem like a low open rate, realize how important it is to target subject lines to your audiences, and segment and personalize them as much as possible. A press release from Litmus — a company also cited in an earlier section — indicated that brands get a return on investment that’s 38 times the amount they invest. What Does This Mean for Marketers? The research from Litmus found that brands get the highest returns on investments after their email marketing campaigns peak. As such, do not give up on marketing campaigns too early if they don’t generate immediate high returns. Many marketers agonize over how frequently to send emails. According to research from the Manifest, most marketers send emails to their customers every week or more often. What Does This Mean for Marketers? Sending emails as often as daily is not always a bad thing, as 32% of people responding to the poll from the Manifest said they sent emails every day. However, people are not likely to view emails that don’t interest them. That means that if you choose to send emails often, you must verify there’s a valid reason to do it. The days of sending out one email to every member of the target audience are over. Liveclicker examined the impact of personalized marketing in a study released in late 2017. It showed that 55% of consumers like messages that have personalization to include products and offers that match a person’s preferences. What Does This Mean for Marketers? It’s worthwhile to dig into the data and figure out the best ways to send targeted emails based on habits, past purchases or other aspects that match consumers. Doing that should reduce the chances that people will get annoyed by the marketing emails that land in their inboxes. A 2018 study from Adestra and Ascend2 profiled some of the primary trends in email marketing engagement. It indicated that 66% of respondents said improved email marketing engagement was their top priority. It’s not surprising, then, that 46% of those polled said that a lack of email engagement created a barrier to success. What Does This Mean for Marketers? It’s no secret that people have competing demands on their attention. The study above gives a glimpse of that reality playing out in email marketing. The need to get better engagement levels should not make you steer clear of email marketing. Instead, carry out detailed research to see which factors are most likely to engage their audiences. The study noted that making progress in engagement levels can provide significant returns. That conclusion should give you the motivation you need to get serious about improving engagement. Fortunately, emerging technologies like artificial intelligence (AI) could help you accomplish that goal. We now have data that you can use to carefully examine and identify the factors that make people interested in emails versus just passing them by in favor of other content. These 13 statistics and the analyses of what they mean should be useful for you as they you how to build and implement your marketing campaigns over the next several years.